Christmas is definitely in the air! People are already looking forward to enjoying the holiday season and are now on the search for fun activities in New York City that will make the celebration more exciting and memorable. 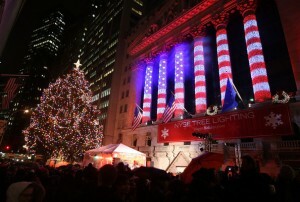 If you plan to go to NYC during the holidays, or if you already are in the city of New York for Christmas, then you will surely find this list of the top things you can do during the holidays in NYC extremely valuable. Pick what you fancy, and make it a part of your itinerary! 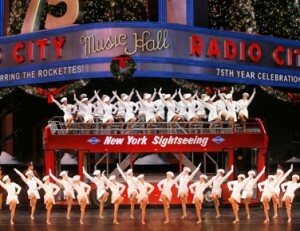 One activity you certainly should not miss in NYC during Christmas is the Radio City Christmas Spectacular at the Radio City Music Hall. The 90-minute show is jam-packed with musical performances, which includes the precision routine of the well-renowned women dance troupe, the Rockettes. It is an annual event and has become a tradition in the city since the year 1933. The show normally runs from the 9th of November to the 30th of December every year. 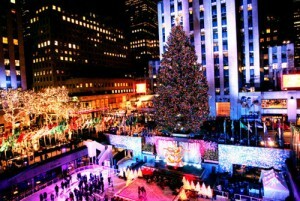 The next thing that should be on your holiday itinerary is seeing and admiring the world-famous Christmas tree at the Rockefeller Center in front of 30 Rockefeller Plaza. This tree is a sight to behold with its 30,000 multi-colored LED lights and its Swarovski star crown. The tree normally gets in the last week of November, and it remains lit and open for viewing until the first week of January. So there absolutely is no time to waste! Another popular option to liven up your holiday visit is to go ice-skating. 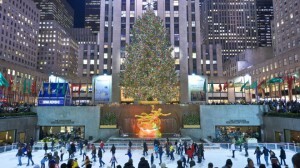 You can ice-skate at the Rockefeller Center, Central Park, Bryant Park or the Prospect Park. But, these parks are not your only choices. You can go and have skating sessions at the Riverbank Ice Skating Rink, City Ice Pavilion, or the Sky Rink at Chelsea Piers too. Your Christmas activity list will surely be incomplete without visiting at least one of these ice skating rinks and having a wonderful gliding experience. 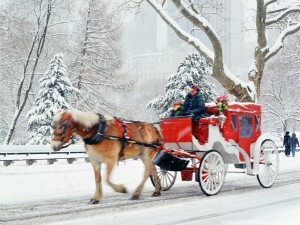 If you prefer a romantic ride or a solitary escape on a horse-drawn carriage, then do so at Central Park. 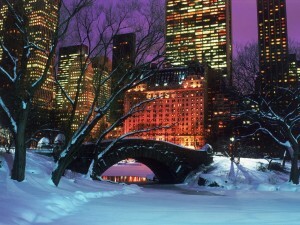 During the winter, the snow covered sites in the park are a must-see, especially on December evenings when the night sky and the brightly-colored lights of the city make the park tour out-of-the-ordinary. If you badly want to window shop, don’t forget to go by the elaborately designed holiday window displays of some stores in the city. 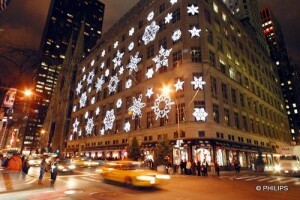 It will be an amazing experience to check out what Manhattan’s famous shops have in store for your viewing pleasure. 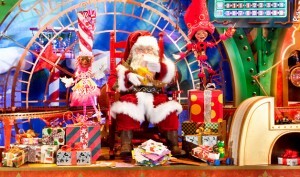 Some must-see window displays are Macy’s Department Store, Saks Fifth Avenue, Bloomingdales, Bergdorf Goodman, Lord and Taylor and Barneys. If you want to meet Santa and maybe have a photo taken with him, then you definitely should go to Macy’s Santaland at 34th Street in Manhattan. You should tell him what you wish for Christmas. You never know – your wish might just come true! 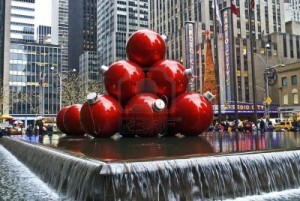 If you prefer being Santa yourself instead, then put on a Santa costume and go around Manhattan. This is not a joke – there are many people actually doing this. It is in fact an organized event called Santacon, short for Santa Claus Convention, so you’re definitely not having the fun all by yourself. 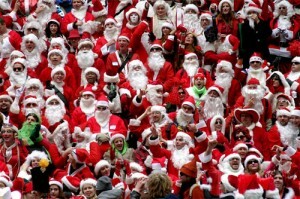 And it is truly a fun experience to go bar hopping all day around Manhattan with many other Santa-dressed people. Imagine how festive that is! If you want some taste of Christmas, or if you need to fill your belly with foods that are perfect treats for the holiday season, then go visit some Christmas markets all around New York City. You can sip hot apple cider or hot rich chocolate. You can snack on some waffles or dumplings. You can even buy handmade or handcrafted presents to give to your loved ones. You can also buy items for yourself, such as clothing and colorful accessories. 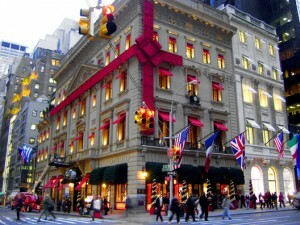 Some of these great holiday shops are at Bryant Park, Union Square, the Grand Central, or the Columbus Circle. 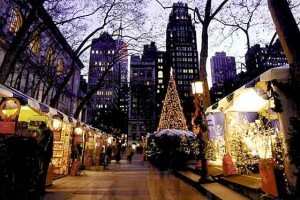 These holiday markets surely offer a cheerful atmosphere during your holiday visit in the city. 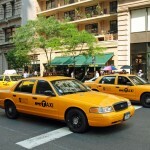 There are indeed many fun and exciting holiday activities in New York City. Don’t hold back on the memorable experiences you are sure to gain, for Christmas season only comes once a year. Enjoy it to the fullest – Merry Christmas and Happy Holidays! Enjoyed reading this post? Get articles about New York City attractions, reviews of Broadway shows & restaurants, and more right in your inbox! 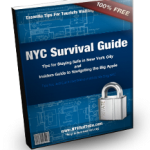 Plus, get a FREE ebook "New York City Survival Guide". So don't wait - provide your details now!